The Park & Ride Lot is the most economically priced of all our parking services. A free shuttle serves the Park & Ride lot 24 hours per day, 7 days per week. 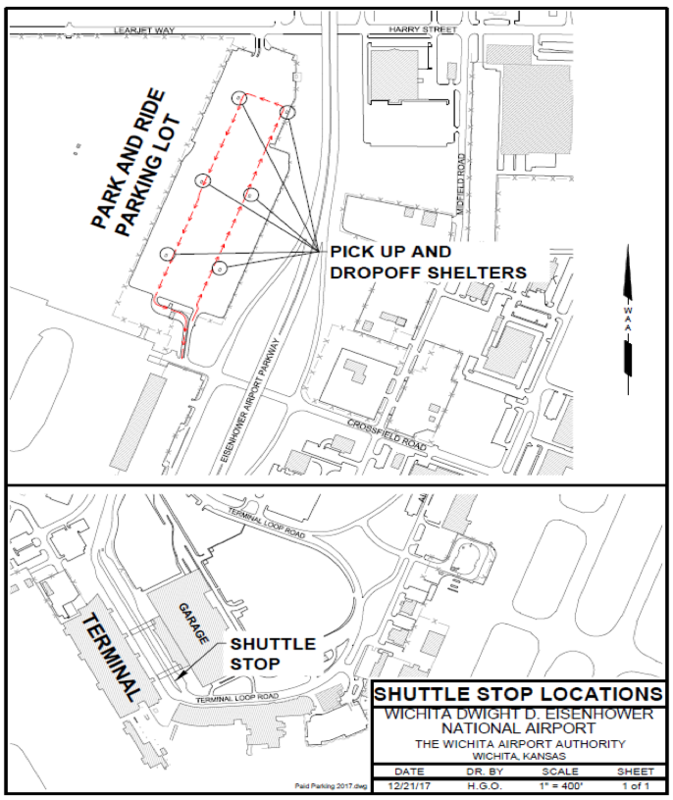 The shuttle cycles between the terminal and lot every 10 – 12 minutes. The shuttle will pick up passengers at any of the six shelters in the Park & Ride lot. The Park & Ride Lot is a remote lot located on airport property. From your time of pick up, you can expect to be delivered to the terminal within about 4 – 6 minutes. The Park & Ride Lot is convenient and safe, is well lit at night, equipped with emergency “blue phone” call stations at every shelter, remotely monitored by camera surveillance, and routinely patrolled. A shuttle is available equipped with ADA wheel chair lift. Please contact the ABM parking office in advance at (316)946-4772 to make arrangements to have the wheel chair lift shuttle meet you at the lot. The Park & Ride Lot is an automated lot and is not attended. The automated exit accepts all major debit and credit cards.